Hot on the heels of some of our other educational articles, such as those that demystify terms like ‘Extra’ and ‘Fine Champagne’, here is the definitive explanation of exactly what the term Napoleon means when describing a Cognac or a brandy. The name derives from the political figure Napoleon Bonaparte (1769–1821). First and foremost, it’s important to understand that Napoleon is not an official age determination for a Cognac. Only the terms VS, VSOP, and XO are the official terms for the drink. However, there are many reasons why Napoleon is used to describe both Cognac and brandy. Let’s first consider what the term, ‘Napoleon brandy’ brings to mind. For many it’s a description of pure luxury; something that the well-to-do would drink on regular occasions. It has to be noted however that the Napoleonic Wars resulted in at least 5 million deaths. Opinions about Napoleon Bonaparte differ radically, some see him as a brilliant strategist, others a warmonger. We personally think it’s a little strange that his name still adorns Cognac and brandy bottles today. Let’s not forget, the guy crowned himself to become Emperor–that’s pretty narcissistic. In general, a Napoleon Cognac is one that’s at least as old as an XO. And currently, an XO Cognac is one that is aged in oak barrels for a minimum of six years. When it comes to a Cognac that’s a blend of different eaux-de-vie, it’s the youngest in the blend that specifies its age. 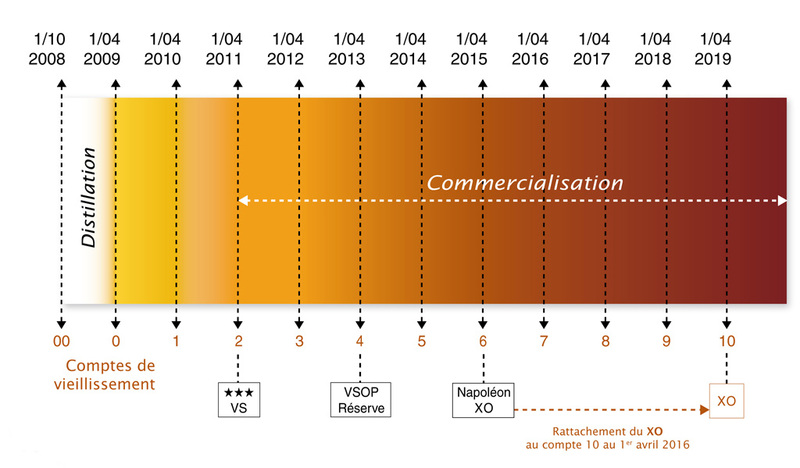 So in the case of a Napoleon Cognac, the youngest eau-de-vie within the blend must be at least six years old as seen on the chart below. However, many Napoleon level Cognacs are much older than this. In fact, some might have an average age of around 20 years. In some cases, a Napoleon Cognac might be one that is somewhere in between a VSOP and an XO quality, but this is rare. We have to muddy the issue a little further (sorry), because as of April 1st 2018, the minimum age for an XO Cognac is officially to rise to 10 years. Read more about this change in our article about XO Cognac increase to 10 Years, and more in our series of educational articles. This change will have no impact on what a Napoleon Cognac is, because this description is not an official category. This means a Cognac producer will still be able to call an 8 year old Cognac, for example, a Napoleon. We have to head back to the Napoleonic era to understand where this luxury age description began. And it was all to do with Emperor Napoleon and his love affair with Courvoisier Cognac–at least that’s what we’re told. It’s common knowledge that following his defeat at The Battle of Waterloo, Napoleon was exiled to the Island of St Helena. And legend has it that he never went anywhere without copious amounts of his favorite brandy; Courvoisier Cognac. He insisted that barrels of the precious nectar were loaded aboard the ships that were to transport him there. It’s said that the British sailors on the ships were heard to exclaim, “It’s the brandy of Napoleon”, and from thereon the legend of Napoleon brandy was born. As with any legend, there’s a cloud of doubt hanging over the story. 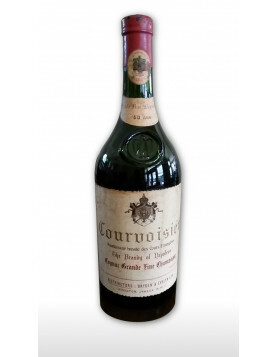 The thing is, Napoleon was exiled in 1815, but the history of Courvoisier only dates back to 1835… Our detective genes tell us this story may be a marketing ploy. Whatever the truth may be, the connection between Napoleon, brandy, and luxury has well and truly stuck. It’s now so ingrained into our psyche that the term, ‘Napoleon brandy or Cognac’, is one linked to opulence and affluence around the globe. 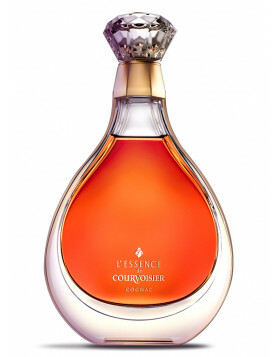 The emblem of Courvoisier is, of course, the man himself. And if you ever get the chance to visit the HQ of this great house, you’ll be able to feast your eyes upon the actual hat and coat he wore at the 1807 battle of Friedland. 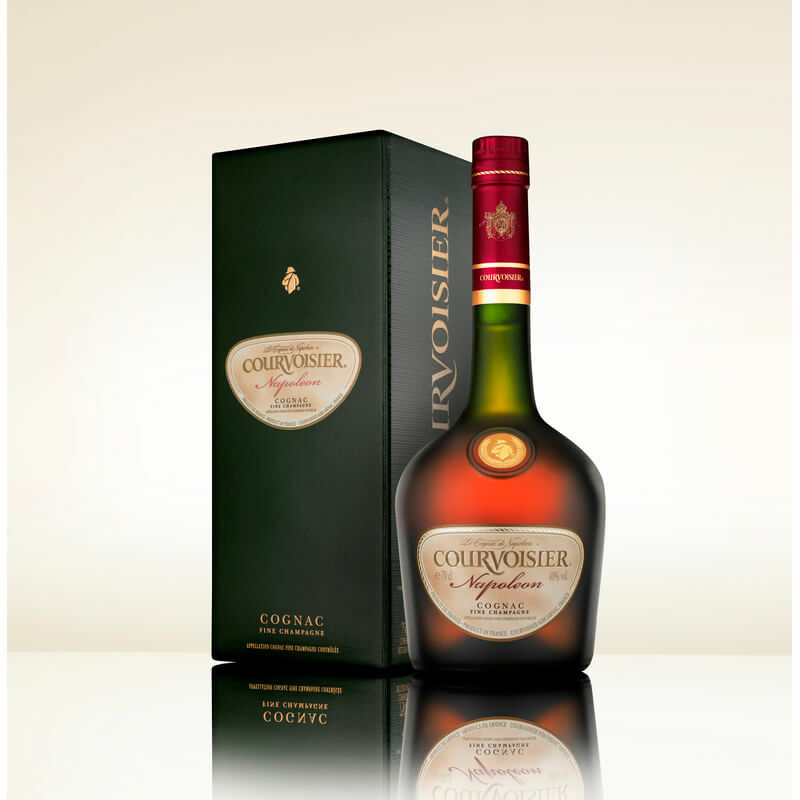 Discover more about the brand of Courvoisier, and read our article on visiting this and other Cognac houses. The following are some of our favorite Napoleon quality Cognacs. Some are from the more famous houses, and some from smaller, artisan creators that produce some truly stunning Cognacs. As always, we at Cognac Expert love to bring such producers to the attention of our global readership. Not only do such houses bring you Cognacs with unique flavors and aromas, but in most cases they represent outstanding value for money. This Grande Champagne Cognac is marketed as being between a VSOP and XO grade. It’s powerful, aromatic, and represents all the reasons why this terroir is known as the ‘premier cru’ of the region. Great taste and a truly reasonable price. 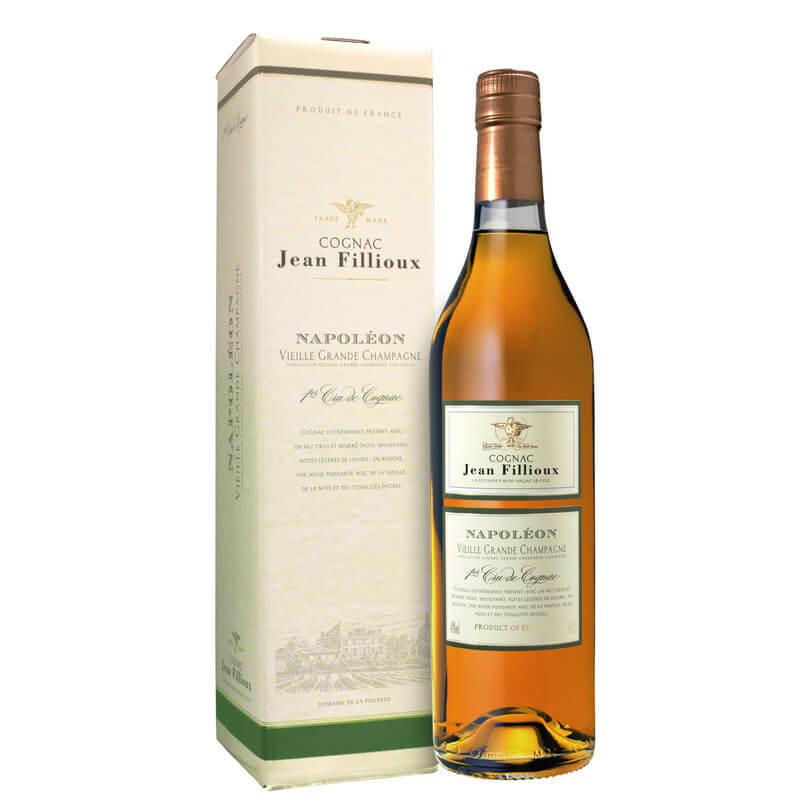 Discover more and buy Jean Fillioux Napoleon Cognac now in our online shop. Our list couldn’t fail to include at least one choice from ‘the house of Napoleon’. And this Fine Champagne delight certainly deserves its place here. As one would expect from this premier house, this is a Cognac with body, complexity, and is certainly one that you’d be proud to offer guests after a sumptuous dinner party. 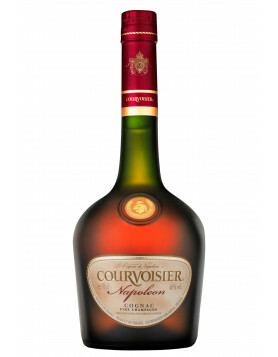 Check out further details and buy the Courvoisier Napoleon Fine Champagne Cognac for delivery to your door-wherever you might live in the world. 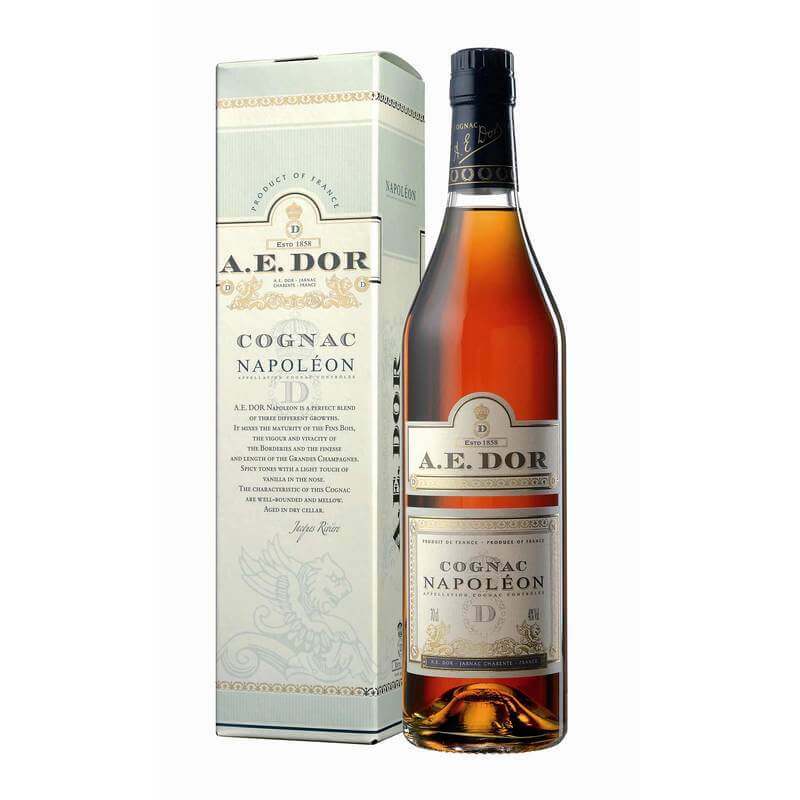 If you’ve not heard of A. E. Dor Cognac, then you’re in for a treat. This is a house that lets their Cognacs speak for themselves, and this blend of Grande Champagne, Petite Champagne, and Borderies is a delight to taste. This is just a small selection of some of the great Napoleon Cognacs on offer. We also recommend the house of Camus who, since the 1863 endeavors of Jean Baptiste Camus and his innovative, ‘La Grande Marque’, have gone to strength to strength. Today the brand is in the top 5 of the leading houses, and produces some pretty special Cognacs. Of course, there’s nothing better than stumbling across a wonderful Cognac completely by accident. And to assist you in your discoveries, our online shop allows you to search not only by brand, but by quality as well. So head over to find out more about the great range of Napoleon Cognacs on offer. 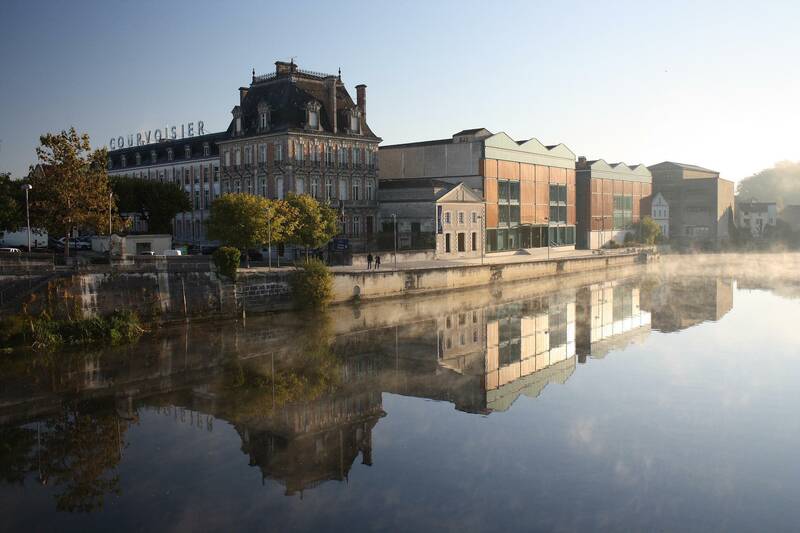 Don’t forget, any purchase made from our store includes full insurance, so you can buy safe in the knowledge that your bottle is fully covered as it wends its way from the heart of the Cognac countryside direct to your doorstep. You have a great website and reviewing cognacs was a very good idea. Why jump on the bandwagon and politicize the subject of Napoleon and brandy? The most famous figure in French history and perhaps you are planning to take down his statues as well (though, there is another reason why there are not that many)? Maybe now he can be “determined” to be Italian instead of French, making it easier to do so? Come on– stick to cognac. No social virtue points being scored when you trash Napoleon. 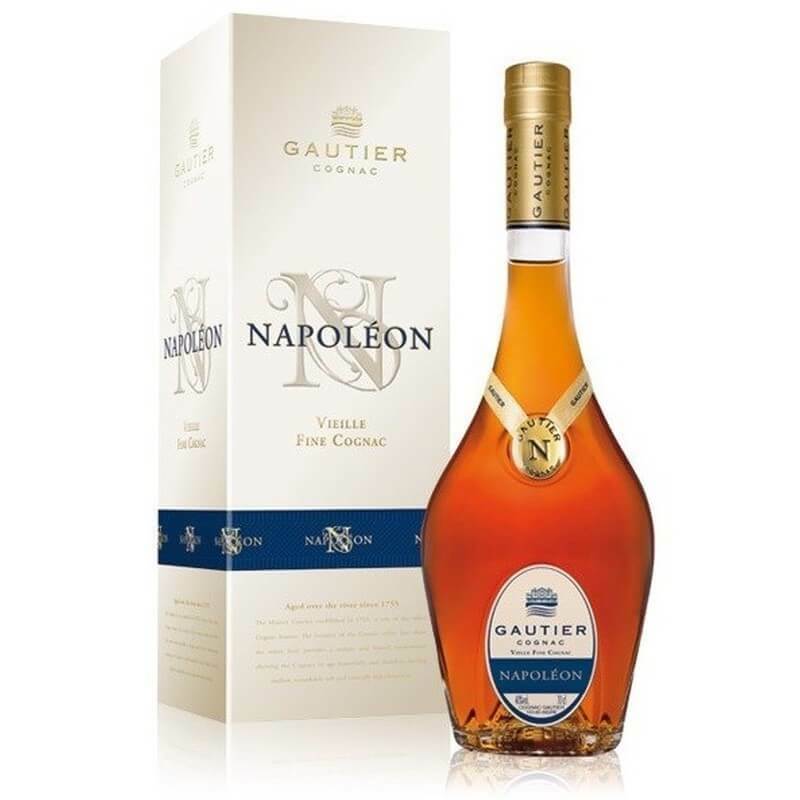 The term “brandy of Napoleon” by British sailors is more of a passing reference to a cognac as a French Brandy rather than a reference to what Napoleon drank. It is said that Napoleon drank a Chambertin Burgundy or a Claret (Bourdeaux).